In the pain and loss that comes from suffering, war, poverty, and migration, it is easy to forget what it means to live in a civilized society. Our economies and societies are currently designed to kill, exploit, and maim. Is it any wonder there are so many of us who wake up scarred by fear and anxiety? Is it any wonder that we cannot find any peace of mind in our current environments? Our economic and social systems have to be overhauled, completely. And their purpose must be to build and maintain civilization -- not to destroy it. All people deserve education, housing, and the dignity of meaningful labor. Every single person, every single one of us. All people deserve affordable access to physical and mental health care. Every single person, every single one of us. Civilized societies take care of one other, and invest in one other, because they understand that an essential aspect of human freedom is the freedom to have basic needs taken care of; the freedom to cultivate our minds with knowledge, culture and art; the freedom to find joy in our labor. The profit motive is an important, powerful human instinct. It must be kept on a tight leash, and regulated by humane economic policies. We are not here to break our backs for new masters. We are here to build a Golden Age. First, all countries, including the United States, must implement economic programs to ensure that their citizens have access to housing, employment, health care and education, all consistent with international human rights standards, and in a manner that does not prejudice any person who simply accesses those services. Second, all countries, including the United States, should take pride in their civic infrastructure. Schools, hospitals, universities, and transportation systems are not afterthoughts of a great civilization. They are the building blocks. And our infrastructure must be strengthened and buttressed to deal with the potentially crippling effects of climate change. Third, all countries, including the United States, should promote economic policies that ensure equal opportunity to resources, and limit the effects of unequal and aristocratic hoarding of wealth by a privileged few. Corporate power must be checked and tamed to ensure competitiveness and to prevent monopolies. Companies should be heavily sanctioned if they leave behind harmful pollution through their business activities (environmental pollution, but also social, cultural, political and even spiritual pollution). It is possible to create and build societies where people are truly free from the pains and wants that have haunted previous eras. We must invest in ourselves. 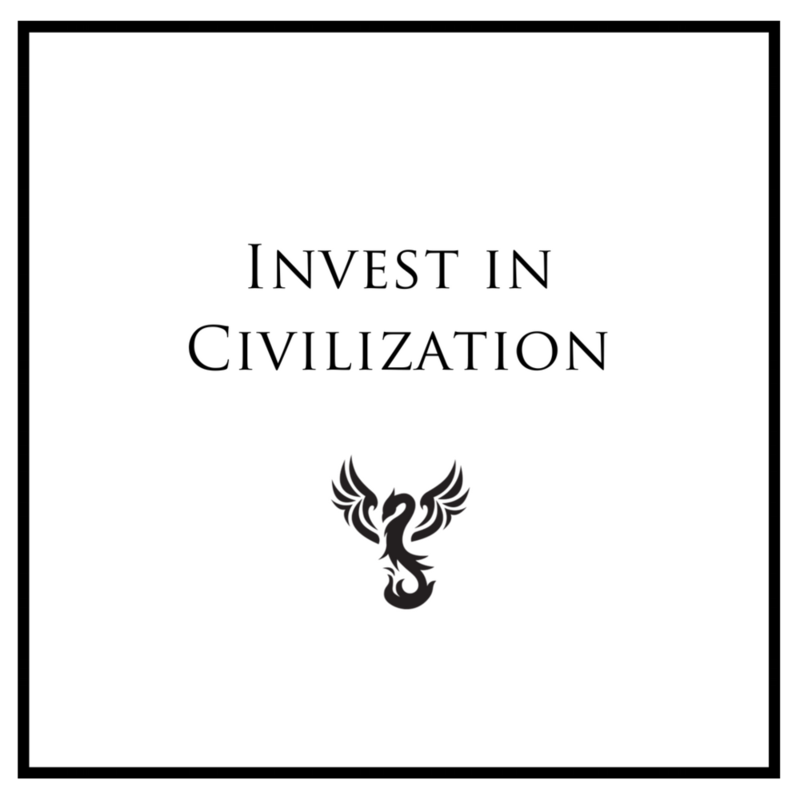 We must invest in civilization itself. "You and I, together, can undertake the heroism needed to write a different history -- a history of survival, a history of continued progress for human civilization."